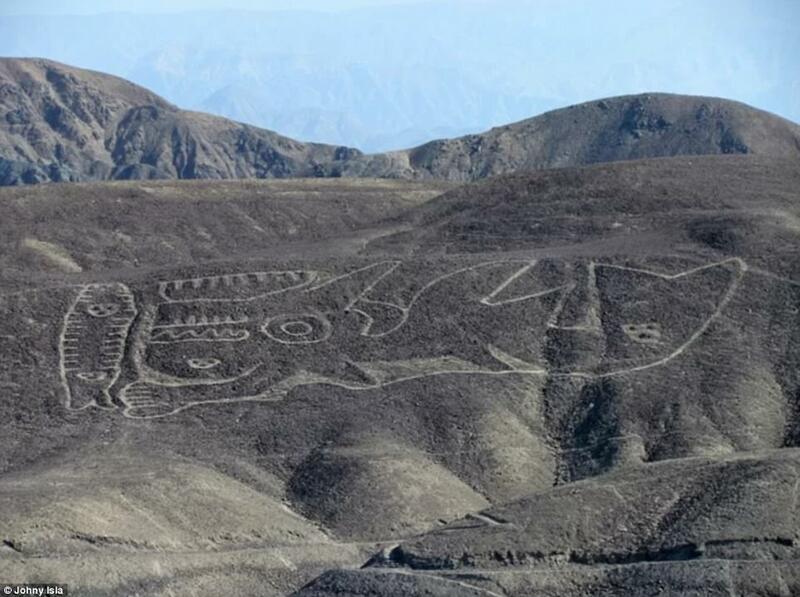 Archaeologists have rediscovered a long ‘lost’ geoglyph carved into a Peruvian hillside. The remarkable depiction of a killer whale spans more than 200 feet, and is thought to date back more than 2,000 years, making it older than even the famous Nazca Lines that sit nearby. Experts say the people who once inhabited the region considered the orca a powerful marine deity. The experts say the killer whale was likely created by removing a layer of stones along the landscape in the outline of its figure. But, the eyes of the orca, and other parts of the design, were made by piling up stones. The researchers say this was a trademark of the Paracas culture, who inhabited the area from 800 BC to 200 BC. The orca geoglyph was discovered in the 1960s by a team of German archaeologists – but, for decades after, it was considered lost, according to the Bradshaw Foundation. Few traces of it existed in the records, but, it was finally found again during efforts led by Johny Isla, of the Ica branch of Peru’s Ministry of Culture. The 230-foot-long (70 meter) orca etching was found in the Palpa region of southern Peru. Joke of the Day Can America be Great – Given Our Present State of Goodness?